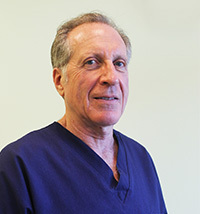 Howard Fluhr, D.M.D is a graduate of the University of Pennsylvania School of Dental Medicine. At Smile Care Family Dental, the patient always comes first. We take the time to explain every procedure so that the patient knows exactly what to expect. We believe that every patient deserve kindness, compassion, and the very best service we can offer. We schedule appointments that allows us to concentrate on each and every patient with minimal distractions. We are dedicated to our patients, and have completed hundreds of hours of continuing education to ensure that our patients receive the best treatment possible.